Looking for something different? For creative kitchen design in NJ & NYC, call us today for a FREE cost estimate: 201-731-5146.
Who says kitchen design has to be boring? Many homeowners limit themselves to conservative color schemes, making use of tame ivory and off-white, subdued earth tones, and natural wood cabinets and stone countertops. But neutrals are just the tip of the iceberg: kitchen designs with a splash of unexpected color have a vibrant, modern feel that blends contemporary elegance with a hint of the eclectic for a truly one-of-a-kind style. From soft pastels to bold, bright oranges, these colorful, creative kitchen designs aren’t afraid of the unconventional. 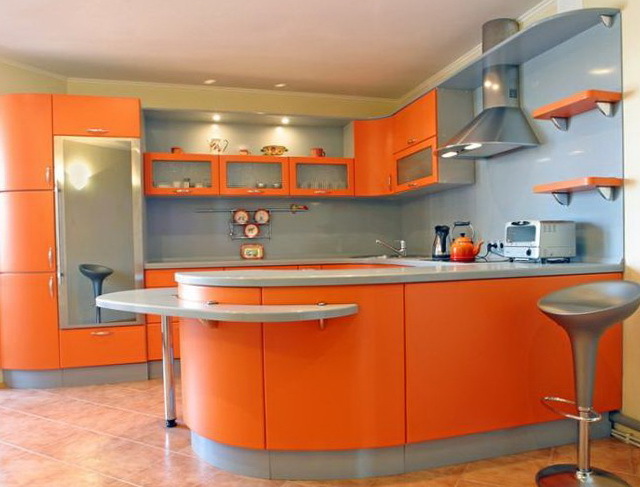 Interested in giving your own kitchen a colorful facelift? At All 1 Kitchen, we specialize in unique, creative kitchen design services in New Jersey and NYC. For a free consultation and cost estimate, call us any time at 201-731-5146. 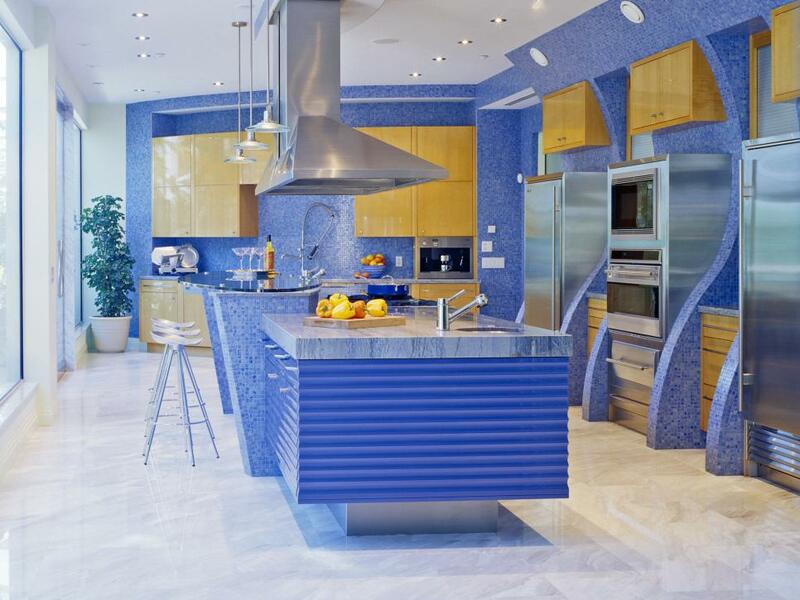 This striking blue kitchen design brings tropical Caribbean aesthetics to a Canadian home. The bold, colorful pairs with sinuous curved surfaces to channel the cool blue waves of tropical seas. 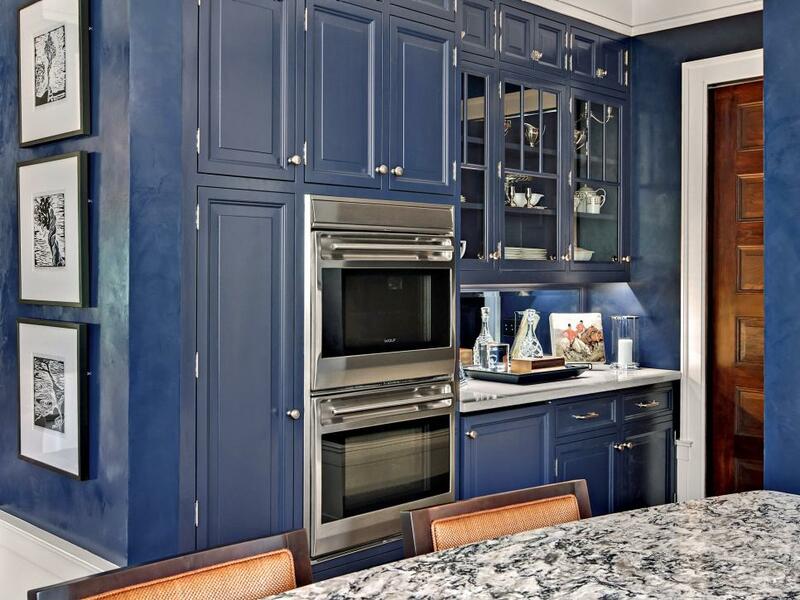 This creative take on painted kitchen cabinets looks classic, yet distinctly modern. The calming blue, paired with white accents and elegant granite countertops, is inspired by classic color pairings in traditional menswear. 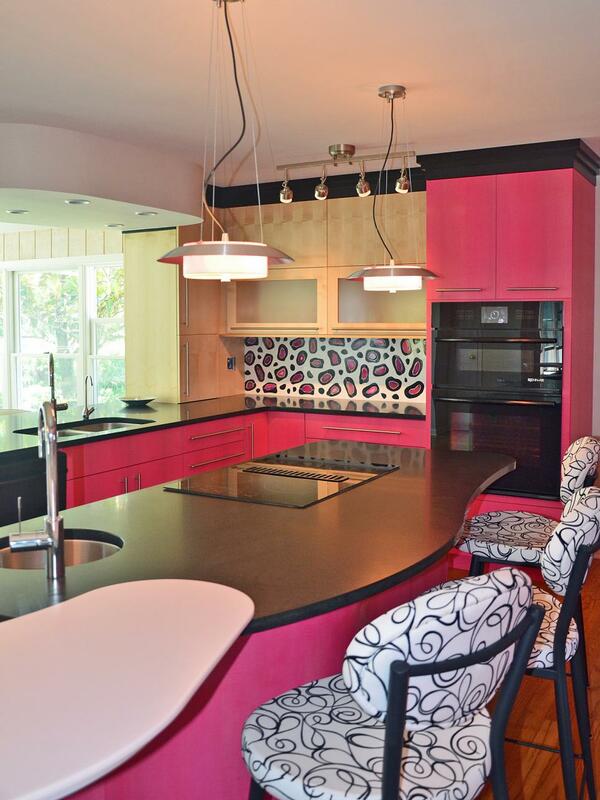 This kitchen design goes with a bold and totally unexpected color choice: hot pink. 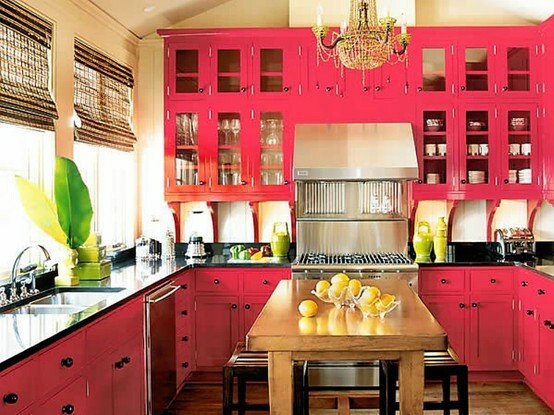 Instead of limiting the bright color to a few key accents against a neutral base, the pink cabinets take center stage. An eclectic chandelier adds a further feminine touch to this truly unique kitchen. This unique, playful kitchen design makes a bold use of bright color and unexpected shapes for a look that’s fully eclectic, yet balanced and coordinated. Sunny marigold walls pair with a striking hot pink vintage-style refrigerator, with wall and ceiling decorations adding a quirky charm. This airy, sunny contemporary kitchen pairs soft chartreuse hues with matte charcoal grey kitchen cabinets, creating an interesting color contrast. With ample floor space and plenty of natural light, the space feels open and inviting. This modern kitchen uses the occasional pop of bright, cheerful color, punctuating a soft neutral backdrop. 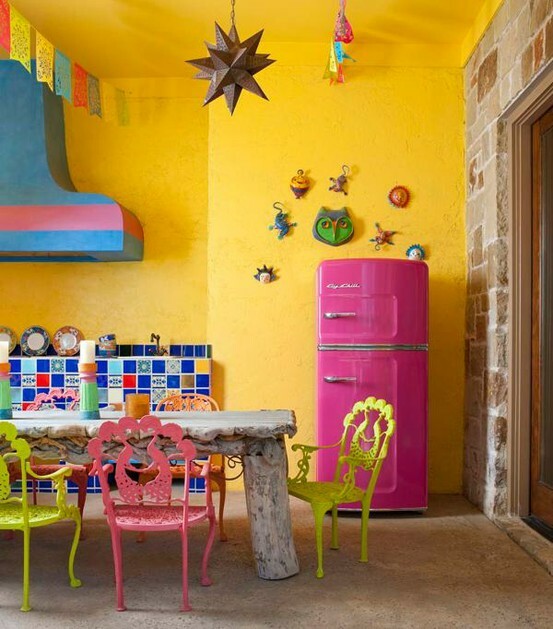 The sunny yellow chairs and bright accessories add a touch of color, without overwhelming the senses. 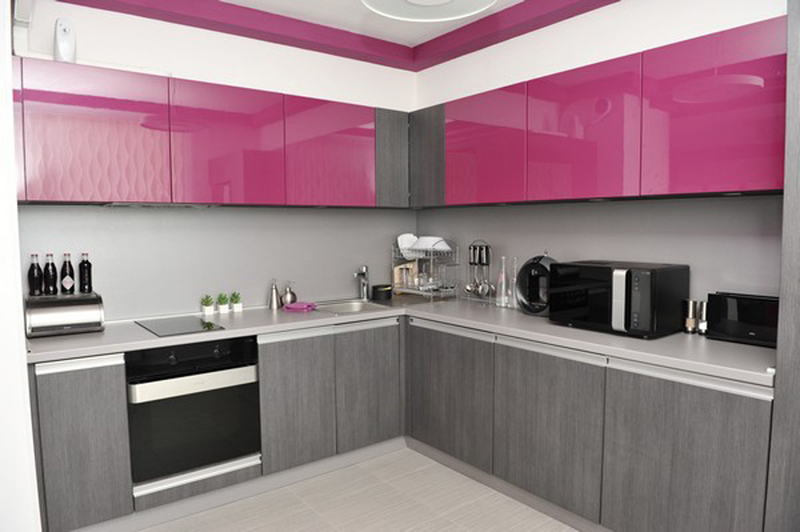 This elegant, feminine contemporary kitchen pairs sleek, minimal frameless upper cabinets in a soft but bright rosy pink– with a shimmering lacquered finish– with neutral gray walls and gray lower cabinets, creating a perfect balance of bright and neutral. 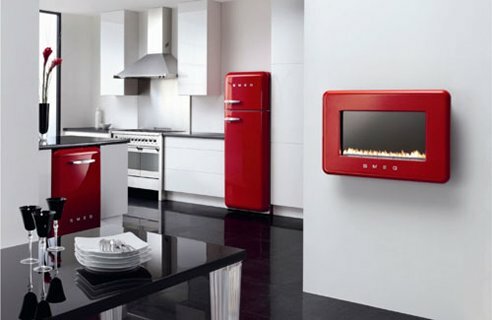 This sleek minimal kitchen has a classic black and white color scheme, punctuated with striking bright red accents. 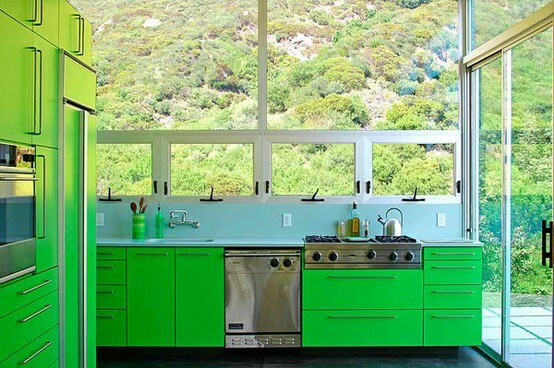 This striking kitchen in bright green forms a natural continuation of the lush landscape visible in its many large windows, creating an interesting synthesis of nature’s beauty with highly contemporary indoor design. 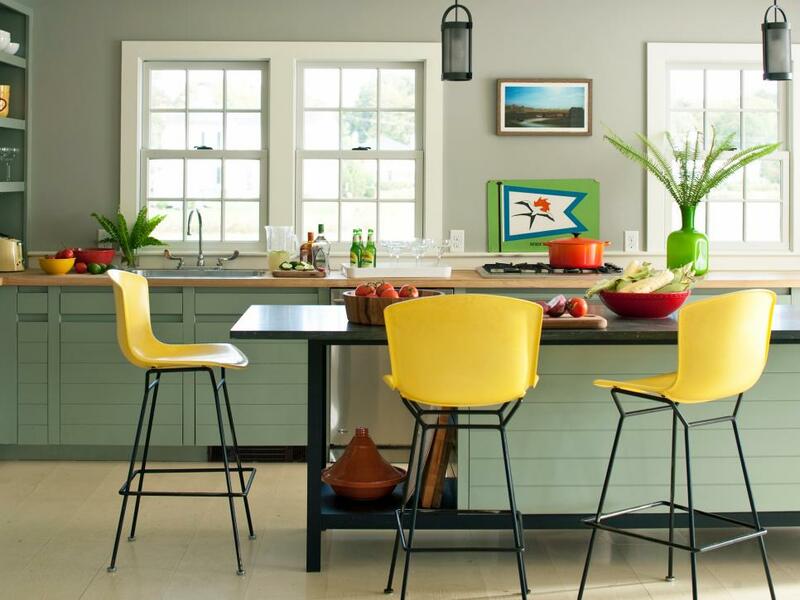 Sunny lemon yellows have been a popular choice for kitchens since the midcentury modern era. 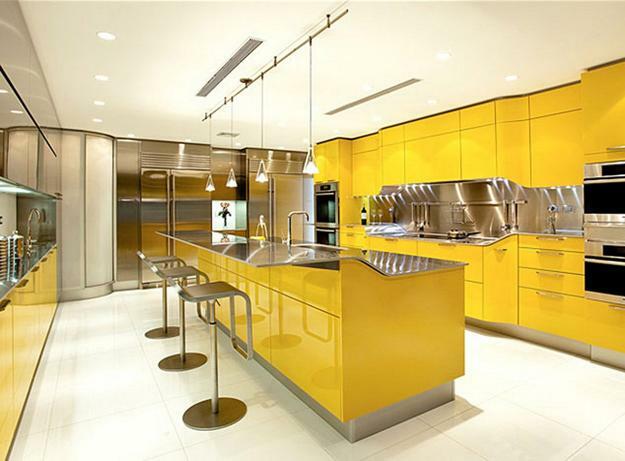 This contemporary kitchen brings the color into the new millennium, pairing bright yellow cabinets and kitchen islands with sleek, glistening brushed chrome surfaces. This funky, endearing kitchen is pretty in pink, with bold fuchsia cabinets and kitchen island paired with a dark charcoal countertop. A leopard print accent and patterned chairs add a unique touch. In this distinctively midcentury modern kitchen, warm orange contrasts nicely with its opposite, a cool blue-tinted gray. Funky ’50s-style barstools and a curved island complete the room’s endearing retro vibe. This unique kitchen pairs a consistent color palette with a variety of patterns, creating visual interest in a relatively small space. 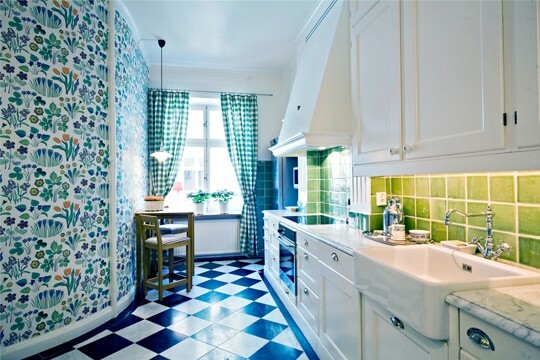 An interesting floral wallpaper complements a blue and white checkered tile floor. Ready to breathe some new life into a dated old kitchen? 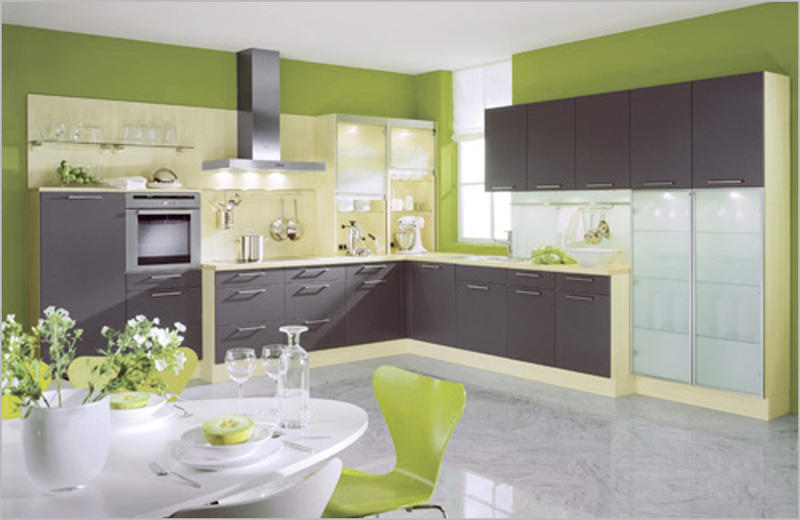 At All 1 Kitchen, we provide professional kitchen design and kitchen installation services in New Jersey and NYC. Call us any time for a free consultation and cost estimate, at 201-731-5146.